Why Does My Dog Behave This Way? 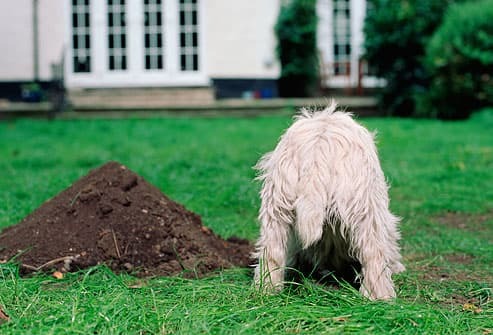 Dogs really like to dig. You'll have to train Fido to get him to stop. When you catch him in the act say "no." Then distract him with a toy. It won’t help to scold him after he's done. You need to be consistent when he’s digging, not afterward. Tip: Give him a sandbox where he can go to town. Bury some favorite toys and watch him have fun getting them out. Pile on the praise -- it will help him learn that he can dig all day in that spot. Dogs, especially puppies, explore the world with their mouth. She likes to chew because it calms her. But it destroys your stuff. Even worse -- she might eat something like a sock that could block her intestines. Break this habit now. Give her chew toys, and take away things she shouldn't gnaw on. If you catch her chewing something she shouldn’t, say “no,” replace the object with an approved toy, and praise her once she's chewing it. 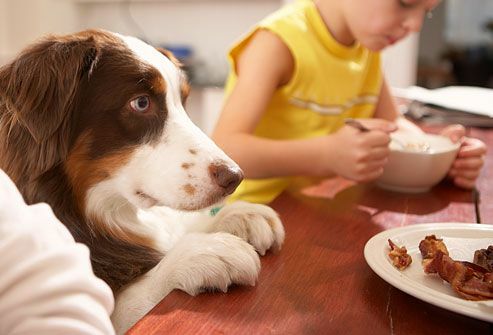 There’s one surefire way to prevent this: Never give your dog food from the table. If he doesn’t get scraps, he won't learn to beg. You can take him out of the room while you eat or put him in his crate. Or teach him to go to a special spot and wait it out. Always praise your dog when she comes to you, whether you called or not. That teaches her that coming to you is good. Say "come" or "here." She may not understand what you want if you just call her name. If she doesn't come, don't chase her. Call her again while you move away. That might make her come after you. If she still doesn't show up, tell her to sit, and go get her. 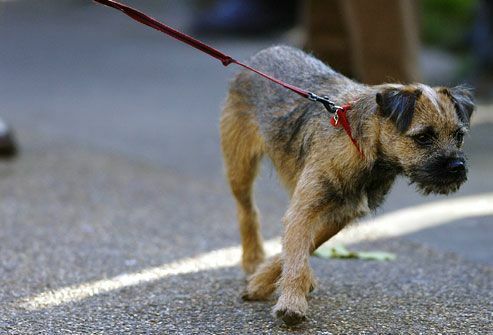 Help your dog learn to walk calmly beside you. Never let him pull, or else he'll learn that doing it sometimes pays off. Keep the leash short but loose. Stop when you feel it go tight. He'll stop to see why you aren't moving. When he comes back, reward him and keep walking. After a few days, he’ll figure out that pulling gets him nowhere. 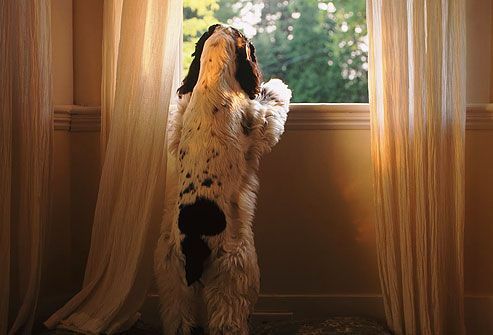 If your dog gets upset when you leave, teach her that you'll always come back. At first, leave her alone for just 5 or 10 minutes. Stay away a little longer each time. Give her a chew toy and leave on the radio or TV. Be calm when you go and return so she knows that being alone is OK. Crate training can prevent this problem with some dogs. But it might not work with an anxious older dog. Ask your vet for advice. 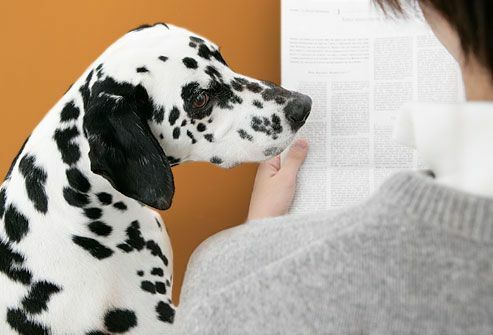 To cut the barking, teach your dog a new habit. Pick a spot within sight of the door. Then teach her to lie down and stay when you say, "Go to your spot." That will help her stay calm and give her something to do while she waits to be greeted. Have a friend with a treat come to the door, but only open it when your dog is quiet. Do this enough and she’ll learn to chill out if she wants that treat. It’s natural for a dog to greet people by jumping up. But that can scare away guests. Turn away if your dog jumps on you. Don't give your dog attention unless he has his front paws on the ground. Then you can greet him and pet him. Or tell him to sit and wait until he does before you pet him. Try to keep your greetings low-key. That helps your dog learn to control his own excitement. Make sure he doesn’t bother or scare people who aren't used to him. 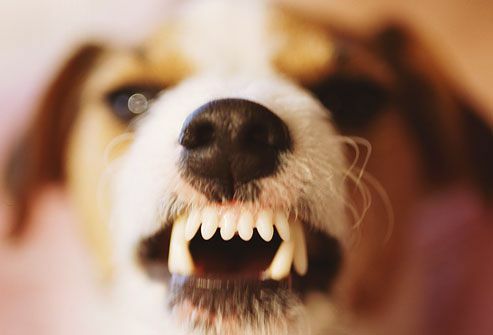 Any dog can bite if she feels threatened or nervous. 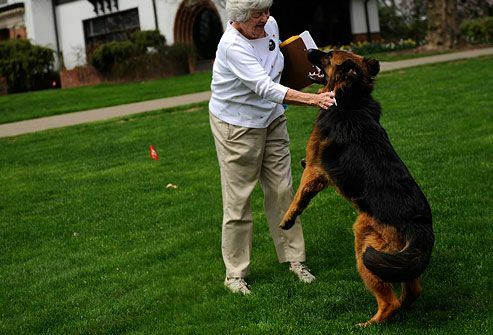 But socializing a dog early teaches her to feel relaxed around people. Gradually expose her to different settings so she will feel safe. Spend lots of time with her so she learns to trust people. Always watch for signs that your dog is uncomfortable and then do what you can to make her feel better. Be especially careful around kids and food. 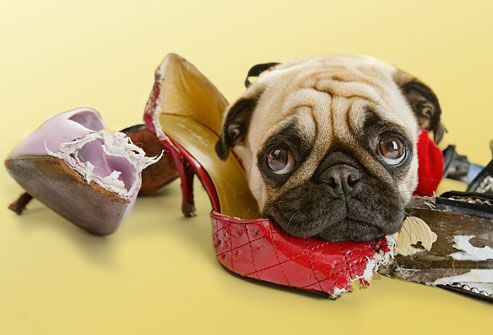 If despite your efforts your dog is a biter, see your vet or your pet's trainer for help. 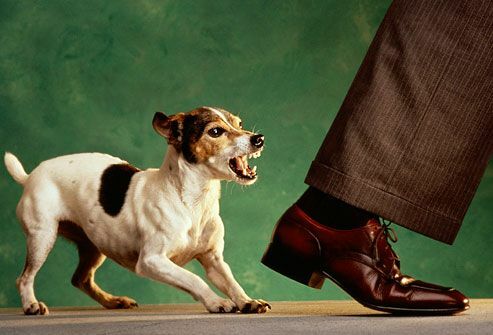 A hostile dog is usually one that’s afraid or nervous. 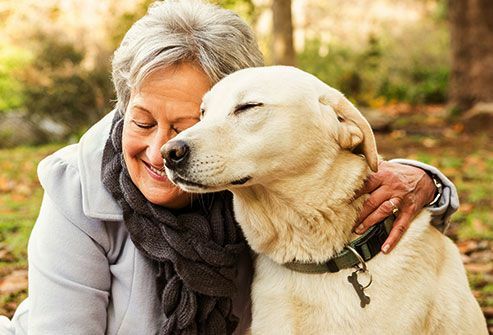 Work with a professional trainer to learn how to teach your dog to rely on you in a healthy way. Never leave an aggressive dog alone with children or unfamiliar adults, even if you think he isn’t likely to hurt anyone. You may need to muzzle him in public. Some dogs bark at things others ignore. Some bark when they're frustrated. Don't yell at your dog when she barks. That could make it worse. 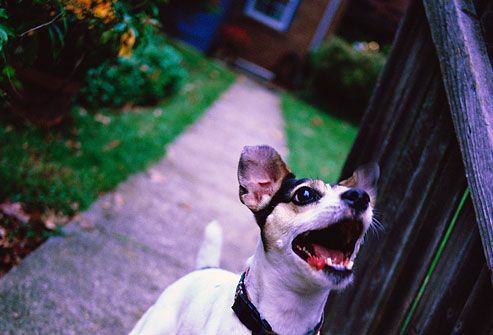 Obedience training can help fix frustration barking. 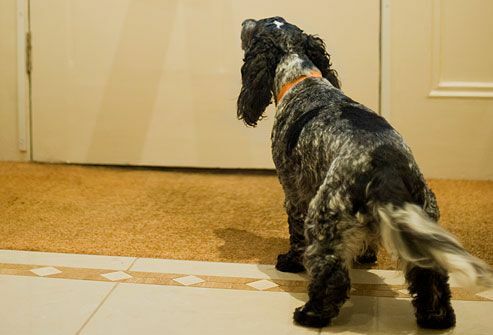 If your dog learns to sit before she does something fun like going for a walk, she’ll learn to control her impulses. If she’s outside all day, bringing her inside for a couple of hours could help. But you may need to work with a vet or a trainer.